Do you love to watch and comment on TV with your friend, family partner or room-mate? Do you laugh, squirm, cry and scream at some of the shows you watch? 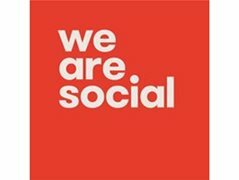 We are Social are conducting ongoing casting for a new content review show and are always on the hunt to find engaging, witty and warm people who love everything about TV and want to share their views with Australian Audiences. - A variety individuals and/or pairs (partners, friends, co-workers, siblings). of different ages, backgrounds and make up. We’re after strong, diverse personalities and people who are good at expressing their opinions. We want a range of looks and idiosyncratic ways of speaking. Not “performative” actor types.